*Disclosure: This is a sponsored post for Caffeinated Club. All thoughts and opinions, as always, are my own. 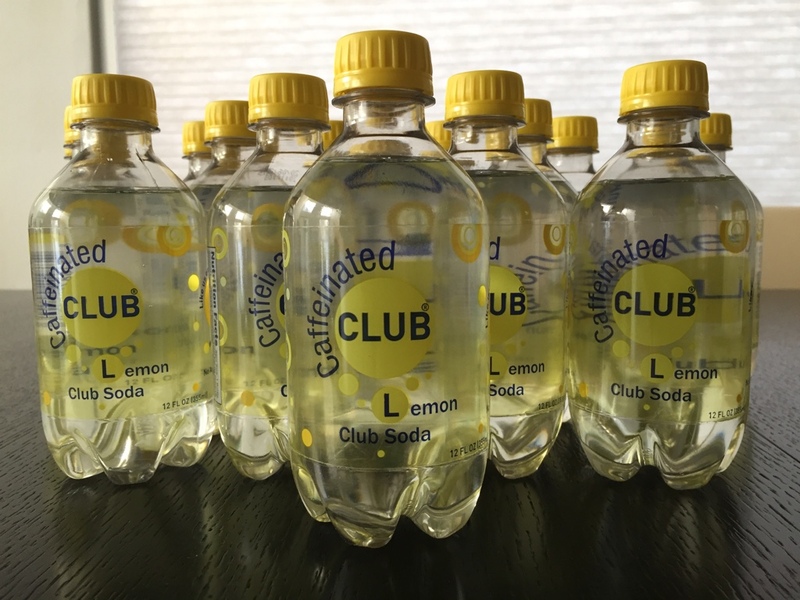 When I came home from the hospital over the holidays after having Baby Awesome, we had a lovely package waiting for us on our doorstep – a case of Caffeinated Club Lemon Club Soda. The name really says it all- it’s club soda infused with caffeine. It comes in four different flavors – Clear, Lemon, Raspberry, and Orange Grapefruit. I received a case of the Lemon Club Soda. At first I was a bit intimidated to try club soda with caffeine. 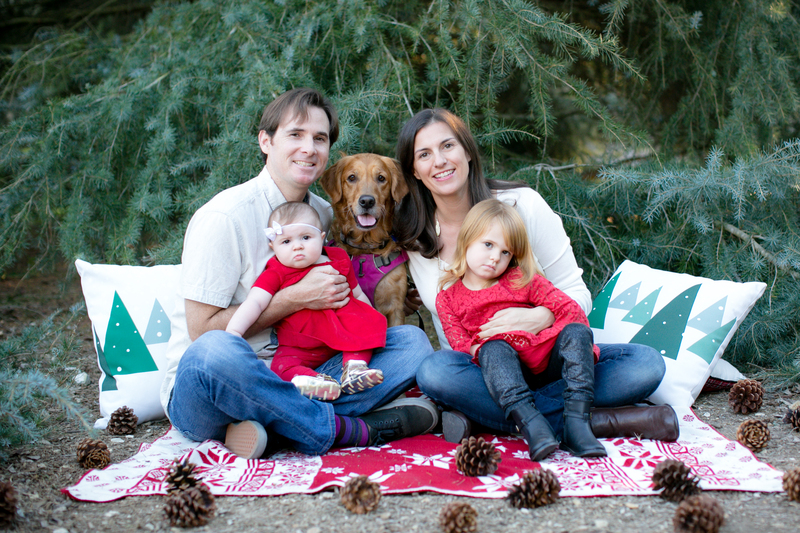 I already love coffee way too much and had to cut back on it significantly when I was pregnant. Now I am breastfeeding and still watching my intake while allowing myself 1-2 cups of coffee a day. What’s great about Caffeinated Club is the caffeine level is actually quite low. There is only 34 mg of caffeine per 12 oz bottle. A cup of coffee contains 200 mg of caffeine so when you put that in perspective it is significantly less! Once I got the scoop on the caffeine levels I was much more comfortable trying out the Caffeinated Club Soda. I drink a lot of sparkling water and we always have it in our fridge so it’s been great to have bottles of lemon club soda on hand that also give me a little pick me up. As a mom with a newborn I am suffering from major sleep deprivation right now and the club soda has been great in the afternoons when I don’t want to have another cup of coffee, but feel the need for a little boost. And that’s pretty much everyday right now. The different flavors of Caffeinated Club Soda. I really enjoyed the taste of the Lemon flavored club soda. It tasted refreshing and not artificial or syrupy which is good because I don’t like artificial sweeteners. The club soda is triple filtered which is probably why it tastes so good. 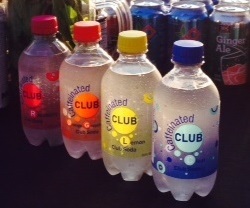 Club Soda is also zero calories so that is a plus, too! We’ve had a lot of visitors over since Baby Awesome was born and everyone is always intrigued when we offer them Caffeinated Club Soda. I think it’s a pretty cool product and I look forward to trying it out in more flavors. I am particularly interested in the Raspberry and Orange Grapefruit flavors. If you’d like to try out Caffeinated Club, you can order online by visiting www.caffeinatedclub.com. 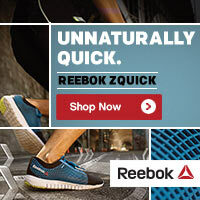 Shipping is free if you order anywhere in the U.S.
What about you? Do you like Club Soda? Would you ever try a club soda with caffeine in it? Post in the comments and let me know! Super excited about this and just order the lemon one!